China is now a major travel destination ... It is a country that every American needs to see, to glimpse the role that China will play as the 21st century unfolds. 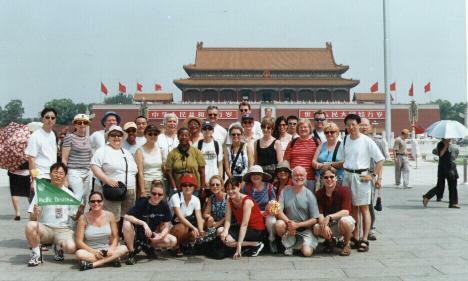 We organize an escorted special classic tour to China every summer. This tour is termed classic because it takes you on the most popular route of six cities in two weeks: Hong Kong, Guangzhou, Guilin, Xi'an, Beijing and Shanghai. We recommend this tour to people who have never been to China before. This tour is also suited for teachers who take up in our summer teaching programs in China because the end of the tour connects very well with the beginning of the teaching programs. The classic tour is two weeks long. For people who want to spend an extra week or so, we suggest a Yangtze River cruise. Please visit Classic Tour for detailed information about our classic tour. If you would like to travel to China at a different time with a group or otherwise, we'd be happy to set up an escorted tour for you.